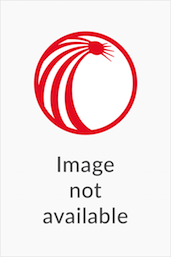 The LexisNexis Annotated Statutes of Singapore: Income Tax Act & Economic Expansion Incentives Act, 2015 Edition pulls together updated and convenient reference information from various sources inclusive of subsidiary legislation, court judgments, board of review decisions Inland Revenue Authority of Singapore circulars, Monetary Authority of Singapore circulars, Institute of Certified Public Accountants of Singapore guidelines. This work is a section by section commentary of the Income Tax Act and the Economic Expansion Incentives (Relief from Income Tax) Act. It pulls together updated and convenient reference information from various sources inclusive of subsidiary legislation, court judgments, board of review decisions Inland Revenue Authority of Singapore circulars, Monetary Authority of Singapore circulars, Institute of Certified Public Accountants of Singapore guidelines, all of which are relevant to the interpretation and application of provisions of the Income Tax Act and the Economic Expansion Incentive (Relief from Income Tax), inclusive of changes proposed in the Budget 2015. Key Features • Extensive cross-references to various sources of information which are relevant to the interpretation of the two Acts in practice. 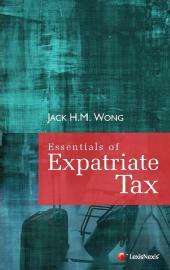 • Includes key cases from jurisdictions ie: Australia, United Kingdom, Hong Kong and Malaysia. • Up-to-date, complete and succinct. • In-depth annotations, referenced by paragraph numbers. Tang Siau Yan and Usha Chandradas are partners in the tax practice group of Allen & Gledhill LLP. Allen & Gledhill LLP is a leading full-service law firm in Singapore and the tax practice group of Allen & Gledhill regularly advises clients in news-making transactions and key tax disputes in Singapore. Siau Yan holds an LLB degree from the London School of Economics and Political Science, an LLM degree from Cambridge University and a graduate diploma in Singapore law from the National University of Singapore. He has also completed the final examinations of the Association of Chartered Certified Accountants and is a member of the Institute of Singapore Chartered Accountants. Usha holds an LLB degree from King's College London, a graduate diploma in Singapore law from the National University of Singapore and a Master's degree in Professional Accounting from the Singapore Management University. She is also an associate member of the Institute of Singapore Chartered Accountants and an Accredited Tax Practitioner (Income Tax) with the Singapore Institute of Accredited Tax Professionals.